The people who become executives often have common traits, as current executives explain. Read on to see if you have them. This a guest post by job search coach Rita Ashley. If you’d also like to guest post here on JobMob, follow these guest post guidelines. Since it is my job to give advice to people regarding career development and job search I dabble in a bit of anecdotal research to find answers. My style is to get the information right from the horse's mouth: in this case, the executives who promote their direct reports (managers) to executive positions. My own advice is to be a good listener. Even if you can't accommodate other managers' priorities in your decisions, knowing you understand their needs goes a long way towards being considered as a good collaborator, which is a major plus in an executive. To give you an edge over other would-be execs, I asked some of the better managers I know to elaborate. EI is a senior director who manages a technology team of over 65 people from QA to Architecture. He watches how his direct reports manage their relationships with those who help define the products. Do they encourage their people to question, to push back, to challenge to ensure the instructions are clear and meaningful? This sort of management is key to EI because he knows the importance of the internal sell for any executive. He also places a high value on those direct reports who come to him with solutions rather than problems. In his eyes, anyone can whine or complain and point out problems, but only a true leader acknowledges and accepts challenges by proposing solutions for discussion. 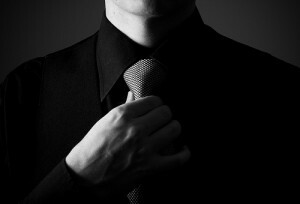 The proposal need not even be right; to EI it is the approach that defines the prospective executive from the manager. One of the toughest bars, in EI's opinion, is how the managers handle employees who are not producing. He watches how long it takes to manage out those who are not performing, and he monitors the manager's ability to convey and meet expectations with the team. Do they require games and incentives, or do managers employ positive reinforcement to motivate their troupes? Do they deliver what is expected in a timely manner? If not, is he informed of delays to allow him to plan accordingly? MS is a Vice President with over 300 people in his department at a world-renowned Seattle-based company. His 9 direct reports are charted with succession planning and therefore the requirements for transitioning from manager to executive are perpetually on the table. The questions are always the same. Do managers convey the charter for the group, the mission for the department and the goals of the company? Does each individual understand their role in delivering on that mission? MS believes the most important factor to being a successful executive is being a successful manager. The first place he looks is the morale of the team being managed. He looks to see if each individual contributor knows what is expected. Is there a metric by which they can judge their own performance? And is there a clear and apparent consequence for not meeting those performance goals? On an administrative level, are reviews and status reports delivered on time? Do the manager's individual contributors feel their career development is a priority for their manager? When conflicts arise, is the manager able to diffuse any problems so they do not affect others, the schedules or the company image? MS will not promote managers who avoid confrontation, no matter how excellent their performance. He and his direct reports are sensitive to the attributes of the passive aggressive manager who avoids making the hard decisions. Can the manager make the sale? I.e., can they organize a presentation of what is needed or wanted and sell that to their own manager? And then sell it to their direct reports and get buy-in? When managers make decisions do they take into consideration the priorities and agendas of other departments and the company? And last, but certainly not least, how do managers implement ideas or plans with which they do not agree? Once they have had their say, are they able to back the idea and execute or do they sabotage, delay or complain? While each executive has a different list of performance metrics they expect in order to consider promoting a manager, if you heed the guidelines above, you will no doubt get the attention of the people who will promote you. Perform like an executive to become an executive. Rita Ashley, formerly a Silicon Valley Executive and later, retained search Recruiter, became a Job Search Coach when former clients came to her in search of an insider to help refine their job search. Her coaching methods are field tested under hard times. Ms. Ashley's clients get hired; it's not a guarantee, it's a track record. Rita's blog is Job Search Debugged and you can follow her on Twitter at @JobSearch4execs. This article is part of the 3rd Annual JobMob Guest Blogging Contest. If you want Rita Ashley to win, share this article with your friends. Subscribe to JobMob via RSS or email and follow me on Twitter for more tips to becoming what you want in life. This is an excellent article, most important ideas I learnt from this article are – Volunteer, co-operate with other departments, stay upto date & most important is to produce results. Thanks dear. Keep up the good work!! The path from manager to executive is clear. Do you know how to find it? Please RT this to managers who want to become execs. Thank you. @animal Will you RT this link to your fans? They will thank you, I know I do.